From Goslar to Grasmere is a collaborative project between Lancaster University and The Wordsworth Trust. 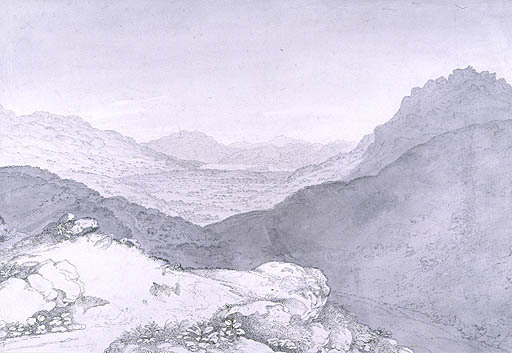 It involves manuscript materials for two Wordsworth texts (early Prelude material and Home at Grasmere) which are both about the importance of place to the writing of poetry – either in escaping from a hostile environment through writing poetry that draws on memories of place, or in celebrating a final home-coming to the Lakes. All original manuscript materials are held at Dove Cottage, Grasmere. By putting the manuscript materials online we want to open up an understanding of the relationship between actual physical place (today) and imagined, textual space in the content of the poem and the making of the manuscript. We would like visitors to the actual site, and to the virtual site to be given a new way of understanding this relationship by means of our project. In his writing Wordsworth recreates his own experience of joy and rapture in response to the Lake District, as he slides across the ice, steals bird’s eggs from a crag, or arrives in Grasmere for the first time: “how my heart /Panted . . . how my bosom beat / With hope and fear” (MS JJ [DC MS 19] Xr). Our site will allow the public to share something of that excitement by giving them access to those accounts in their very earliest handwritten form. By recreating and guiding others through interpretation of the processes of writing about place, we will use the manuscript materials themselves as a site where different kinds of experience of place can come together and inform each other. The website is designed to have three levels of access: as a specialist; as an ordinary user; for educational use. Understanding the nature of the creative process is something of interest to all of us. In relation to children, in particular, the accessible presentation of the way in which a poem is written and re-written, will help them in developing their own writing. The primary objective of the project is to explore imaginative ways of presenting manuscript materials in hypertext and by means of TEI and to create an accessible way of understanding those materials for a wide audience. The project will stand as a model for successful collaboration between an academic and a non-academic institution and be of use to those interested in Wordsworth from all around the world who are not able to come to Dove Cottage. It should be of particular interest to other literary museums and to those working with hypertext in the field of English Literature. It is also of immediate, local, use to the large numbers of visitors to Dove Cottage each year, and to schoolchildren and teachers visiting the actual site or using the virtual site remotely.